At approximately 07H40 on Tuesday 23 January 2018, Netcare 911 resources were dispatched to reports of a minibus taxi crash on Olifantsfontein Road near to Cilliers Road in the Randjesfontein AH area, Midrand. Paramedics from Netcare 911 as well as other private services and the Provincial ambulance service, along with the Fire Department and Traffic Police all attended to the incident. 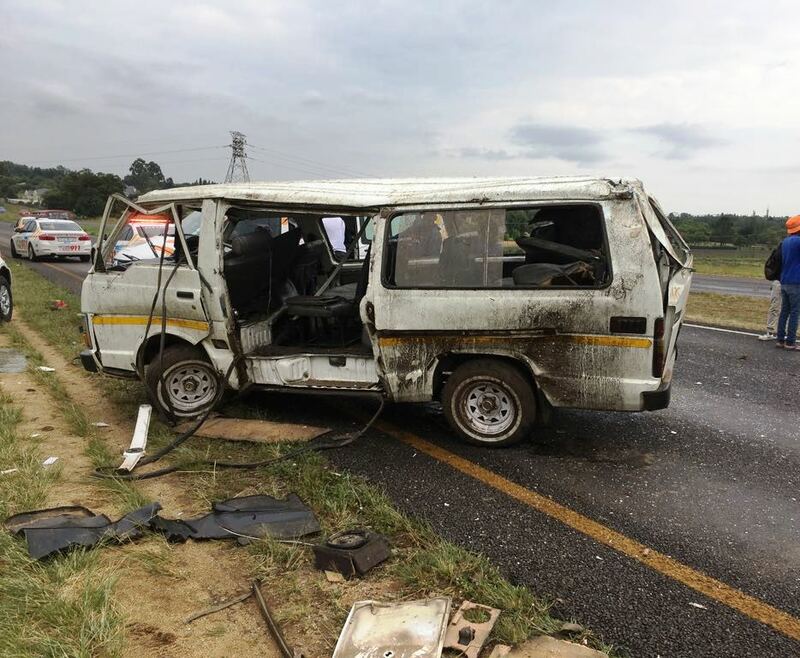 Paramedics found that the minibus taxi had rolled and reports from the scene indicated that the majority of the occupants appeared to have been ejected from the vehicle during the rollover crash. Other services had already loaded patients into ambulances when we arrived on scene so exact numbers were difficult to determine but it is believed that the taxi was close to full capacity. The majority of the victims sustained injuries ranging from relatively minor to serious, but a forty-eight-year-old man had sustained multiple injuries and was in a critical condition. He was attended to by Netcare 911 Advanced Life Support paramedics and placed on a ventilator at the scene. Due to the serious nature of the crash combined with the man’s severe injuries, the Netcare 911 specialized helicopter ambulance was called to the scene to airlift the victim to a hospital for the urgent care that was required. The incident and preceding events will form part of a police investigation.